Absolute Water Solutions, LC is a locally owned company providing quality service to homeowners and businesses in central Texas. We offer a full line of treatment products and will custom design a system to deliver high-quality water at a competitive price. We believe in providing high-quality service and developing lasting relationships with our customers. 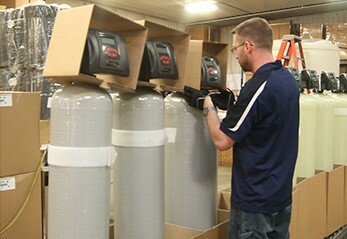 The consultation, system design, and installation will be performed directly by a licensed water treatment specialist. We care about individual customers by meeting their specific needs. We offer long-term warranties and expert installations on a complete line of quality products. Our products are manufactured by Water-Right, an innovative and dynamic US manufacturer of highly effective water treatment solutions that has been in business since 1963. Contact us today. We are looking forward to serving you!